Monel (Nickel-Copper) dowel pins are manufactured from R400 material according to ASTMB164 specification. Being a group of nickel alloys (consisting of up to 67% nickel), Monel dowel pins are much sturdier than straight nickel dowel pins. 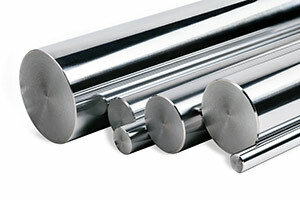 Monel alloys are highly resistant to heat and corrosion. In fact, Monel is strong enough to use in fast-flowing sea water without damage; the resilient properties of this material are ideal for various marine settings. They are slightly oversized for a tight fit. Dowel pins are machined to tight tolerances. The holes that they go into are reamed holes also with a tight tolerance. If you require dowel pins with other specifications, please contact us today and request a custom order. Our expert representatives will work with you to determine your application needs, and we will manufacture custom dowel pins of precise shapes, diameters, and lengths. With our proven techniques, we have the capabilities to manufacture dowel pins that are lightweight and durable and are given a non-abrasive finish. Browse our Product Catalog and choose a dowel pin that suits your specific application. 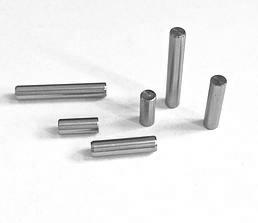 If you do not see a particular type of Monel dowel pin in the catalog, simply contact us for a custom quote. With over 60 years of experience, our company has catered to every type of project that you can imagine. Our seasoned team knows which dowel pins are ideal for certain situations. If you’re not sure what to look for, that’s not a problem; we can help guide you in the right direction.